(CBS/AP) The six women chosen to sit on the jury that will weigh George Zimmerman's fate may be sympathetic to the former neighborhood watch captain's case, one defense expert says -- though their views on guns, crime and community will likely be more relevant in the deliberation room than their gender. Zimmerman is accused in the shooting death of unarmed teen Trayvon Martin inside a gated community last year in Sanford, Fla. The 29-year-old claims he was defending himself when he shot and killed Martin during an altercation. 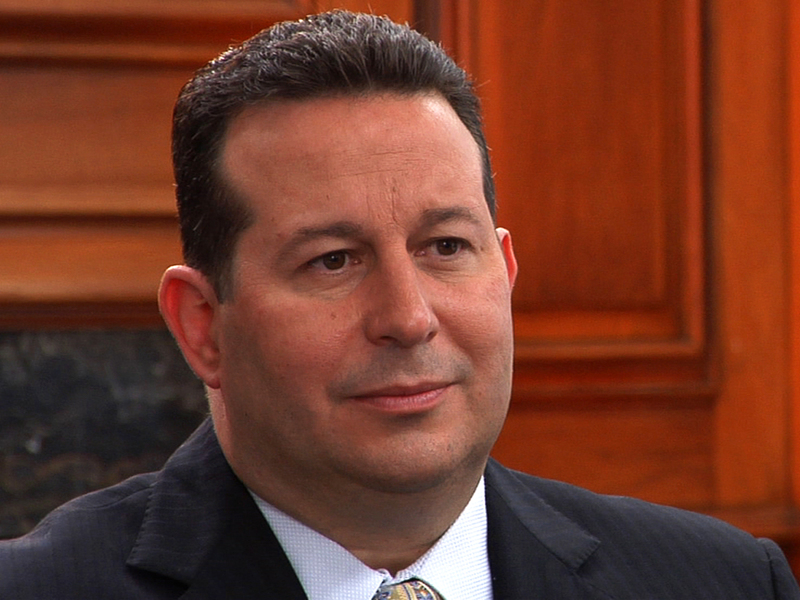 The jury panel, chosen Thursday, is a "slam dunk" for the defense, said Jose Baez, a Florida defense attorney who was lead defense counsel on the Casey Anthony case. The Florida mother was acquitted in 2011 of killing her young daughter, Caylee. "I think the defense clearly won the day on this one," Baez said. "Any way you slice and dice it, this is a defense jury." The trial won't be a typical criminal case in that the women won't be tasked with weighing whether George Zimmerman shot Trayvon Martin the evening of Feb. 26, 2012, but whether he was justified in killing the teen. For the jurors, their understanding of when it's appropriate to use deadly force will be key. That two of the women reported familiarity with guns -- including one who reported she once had the same kind of permit to carry a concealed weapon that Zimmerman was issued -- is a boon for the defense, Baez said. According to the Orlando Sentinel, juror E-6 -- a young, married white woman who warned her two adolescent children not to go out at night because of Martin's shooting -- reported that her husband owns guns. Juror B-37, a middle-aged white woman with two adult children who described the protests in Sanford as "rioting," reported that both she and her husband have concealed carry weapons permits, though she has let hers lapse, reports the paper. Baez also cited the jurors' race -- five are white, and one is Hispanic, the Orlando Sentinel reports -- as a boost for the defense. The racial and ethnic makeup of potential jurors is relevant because prosecutors have alleged that Zimmerman profiled Martin in following the teen as Martin was walking back from a convenience store to the home of his father's fiancee. A 44-day delay in Zimmerman's arrest led to nationwide protests. "I think the defense certainly wanted to avoid African Americans sitting on the jury because of all the racial tensions," Baez said. Prosecutors also attempted to strike at least two of the jurors, the Orlando Sentinel reports - another defense victory, according to Baez. "That tells you these jurors gave answers to these prosecutors they clearly had trouble with," Baez said. Jeffrey Abramson, a professor of law and government at the University of Texas at Austin School of Law, agreed that conservative-minded, pro-gun jurors will benefit the defense in the case because they may sympathize with Zimmerman. Prosecutors, however, may benefit too in that the jurors appear to be "center of the road" citizens who are well-educated, well-placed in their community and take the reputations of their community seriously, Abramson said. "If the prosecution team is confident in its evidence, it's happy to have an informed and well-educated jury and trust that it will follow the evidence," Abramson said. It's tough to gauge whether the jurors' gender alone will prove more of a boon to prosecutors or the defense team as the panel weighs the second-degree murder charge against Zimmerman, said Brian Tannebaum, president of the Florida Association of Bar Defense Lawyers and past president of the Florida Association of Criminal Defense Lawyers. "There's always that notion of men and women viewing things differently - that women can be more sympathetic, or can listen better than men," Tannebaum said. "But I have no idea how to gauge a jury in a case like this, where the facts are not your typical facts." Though the women have all said in court they can be impartial, those that have children will likely view the case in a different light than those who do not, Tannebaum said. Juror "B-29," a married nursing assistant and mother, said during jury selection last week that she had recently moved to Florida from Chicago and knew little about the case other than "some little boy passed away." When asked by a defense attorney if she felt she could give George Zimmerman a fair trial knowing that Martin was a minor when he died, she replied in the affirmative. Five of the six women who will serve on the jury have children, according to the Orlando Sentinel. "The only light I see for the prosecution here is that they may be able to relate to losing a son or try to envision that," Baez said. Two women and two men were also chosen to serve as alternates on the jury. Opening statements are scheduled to launch Monday.